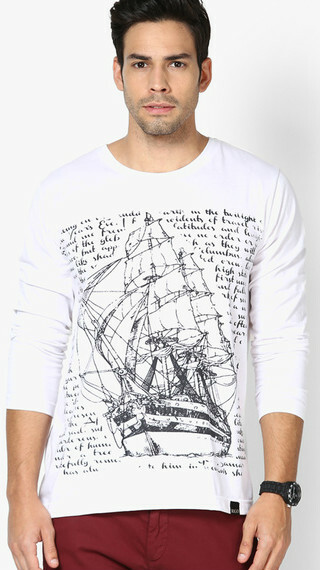 14 Cool Graphic T-Shirts To Gift EVERY Kind Of Guy!! Whether he knows it or not, we all have that special someone in our lives. So why not make him feel special? Get him a present! But that’s easier said than done, right? Because shopping for guys can be so damn hard! T-shirts are one safe option, though, because literally *every* guy wears one! And no matter what your guy’s personality is like, there is a cool graphic tee out there for him!...That’s why we have you covered, hon!... All for under Rs. 500!! 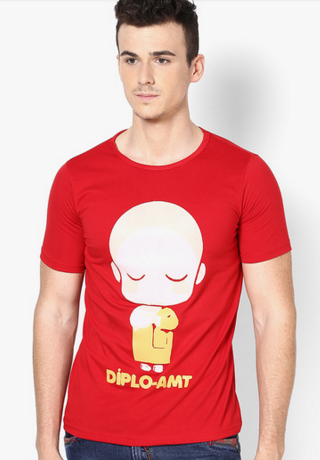 If your guy is full of opinions and witticisms, then he will simply love this t- shirt! Questioning a popular internet meme, THIS blatantly is not something everyone has the guts to do, but your guy has got all the attitude and badassery to pull it off! This tee was made for him! Price: Rs. 449. Buy it here! Is your significant other the guy you call every time your Mac crashes, or your phone stops working? He is the one who gets excited about every new iOS update, and every single iPhone release, yes? And he’s also got a giant poster of Steve Jobs’ face looking thoughtful over his bed, which makes you feel like a bit of an exhibitionist every time you are making out at his place, right? 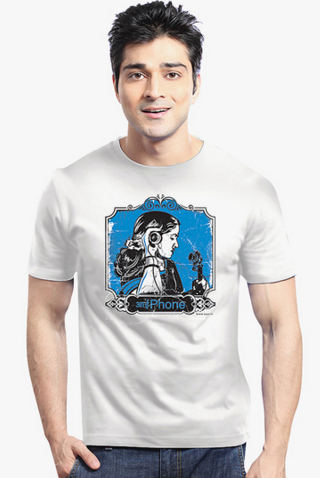 Just gift him this tee-shirt, and he will love you forever! Price: Rs. 449. Buy it here! Your guy follows trends, and LOVES to dress up when stepping out? He tries to *always* look his best for you, and is a sucker for big brands? 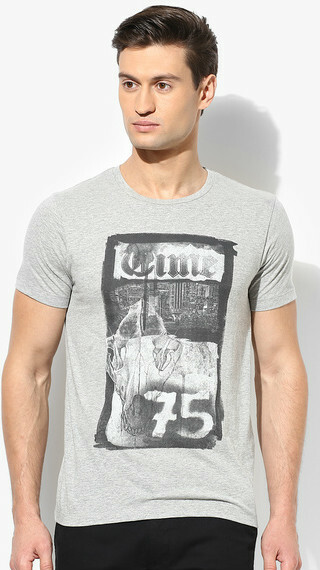 Then this Jack & Jones T-shirt, with its clean yet bold graphic, will definitely speak to him! 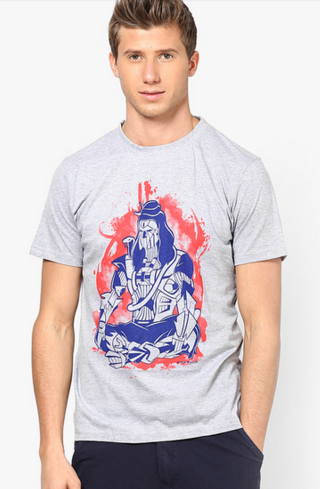 ‘Cus of its simplicity, the tee can also be styled in different ways, to match his whole range of personal tastes. Price: Rs. 498 (at 50% discount!). Buy it here! Techno Shiva never looked better. Maybe your guy is an Art of Living fan, or maybe he gets his spiritual from the herbal. 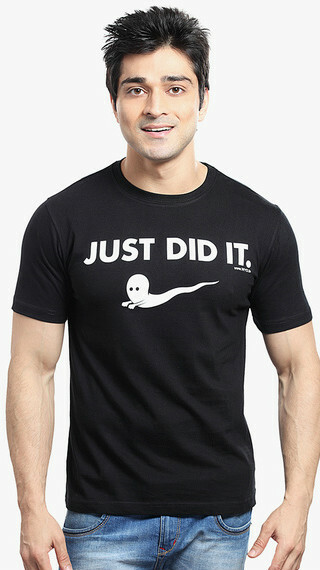 ;) Either way, as soon as he sees this tee, he will get his buzz on! Promise! Price: Rs. 449. Buy it here! He is nice, polite, and courteous. He always opens doors for you, and pulls out the chair. He hates arguing, or getting into confrontations. He never forgets anniversaries, he is always on time (mostly!) and he buys you flowers. Does that sound like your guy? Then gift him this T-shirt, because what’s nicer than a thoughtful girlfriend?! Price: Rs. 400 (at 50% discount!). Buy it here! So your guy plays the guitar, or maybe he is a drummer. Maybe he has his own band. If not, he definitely knows A LOT about music, and is constantly making obscure music references. He loves Led Zep, or Nirvana, or 50 Cent, or he deejays at awesome parties with his cool, electro shizz! 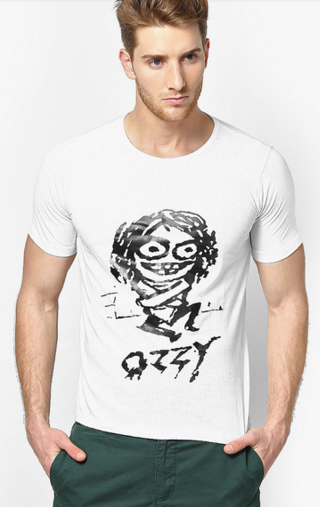 Either way, you can’t go too wrong with Ozzy Osbourne, so buy him this! Price: Rs. 400 (at 50% discount!). Buy it here! Maybe your guy has lots of opinions about politics, and can never get enough of news, or of Arnab Goswami (haha, kidding!)... 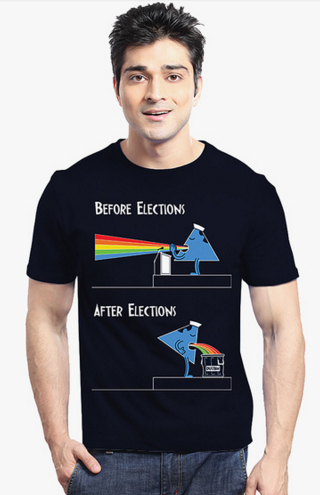 But if he really cares about causes, democracy, the idea of India, and the voting process, you should seriously consider getting him this T shirt. He will get the joke (and cynicism), and will think you’re seriously smart and funny for gifting him this. Price: Rs. 449. Buy it here! Are you the girl who makes all these plans with her guy, only for him to cancel it all at the last minute, because he is too tired, and well, too lazy to get out of bed? Well, so what, you spend the day in bed watching movies, and you love him anyway! 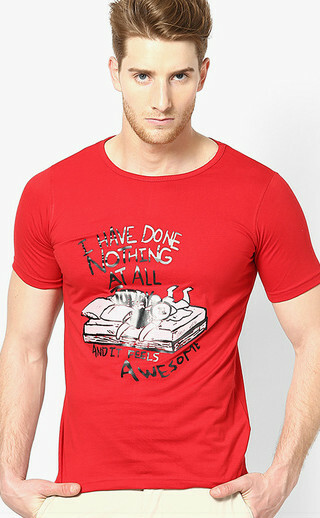 Then, this T-Shirt is perfect for a day in bed with him! Get it! Price: Rs. 400 (at 50% discount!). Buy it here! Hindi movies and Bollywood is what your guy loves. Every Friday, or weekend, you make it a point to go to the movies together to watch the newest release, and then come back home to chill. He uses dialogues from films in normal conversation at the drop of a hat, and he is sooo good at mimicking all those old-time actors… Boy, is that funny! 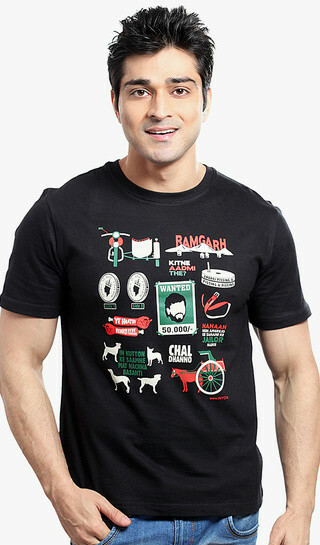 This T-shirt illustrates the plot of Sholay, which is a Bollywood classic, so what are you waiting for? 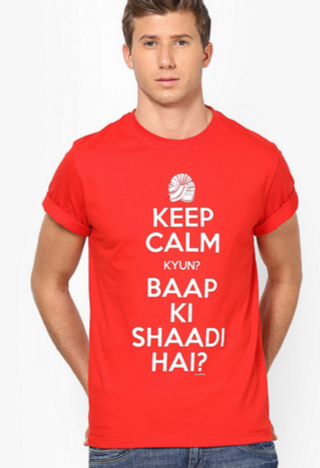 Buy it for him, and get ready for the hugs and kisses he showers on you - his very own Basanti! Awwww!! Price: Rs. 449. Buy it here! 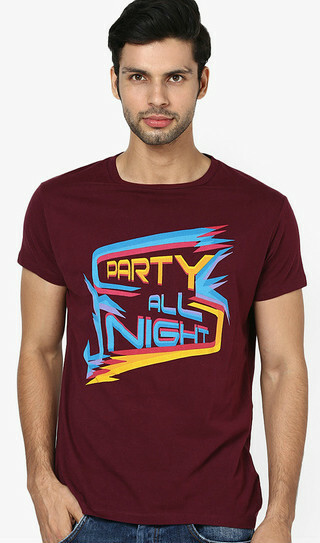 Be it either day or night, if your man loves partying, then he and this T-shirt were made for each other! The message is simple: he is a party animal, and the world should know it. But he also loves you and never fails to take you along to all his parties and introduce you to his friends - so why not gift him this T- shirt to show him how much you appreciate him?! Price: Rs. 399 (at 33% discount!). Buy it here! Is your guy sporty, and maybe he plays football or tennis? Or maybe he just likes watching cricket matches on the TV from the comfort of his couch. But he definitely gets excited at the mention of sports! So you’re doing just the right thing if you gift him this T-shirt- The text on the tee is a play on sportswear label, Nike’s classic “Just Do It” logo. So all the more funny! And you know, girl, nothing is more romantic than some laughs! :) Price: Rs. 449. Buy it here! 14. For the guy who is just-so-delicious! No matter what time of the day, whenever you look at your man, does your heart simply melt, because ohhhh! He is just soooo YUM?! 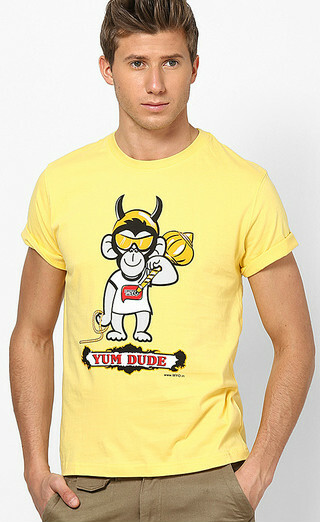 If yes, do tell him just how hot you think he is, with this “Yum Dude” tee. Yellow is sure a difficult colour to pull off, but with his gorgeous looks, you know that if anyone can do it, it’s him!